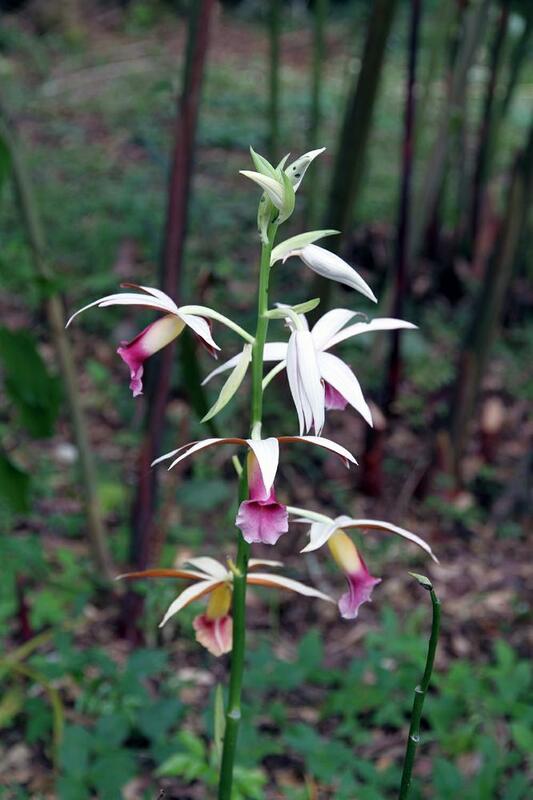 Phaius tankervilleae, commonly known as the Nun’s Orchid, is distributed throughout northeastern Australia, southeastern Asia, and the Pacific Islands. 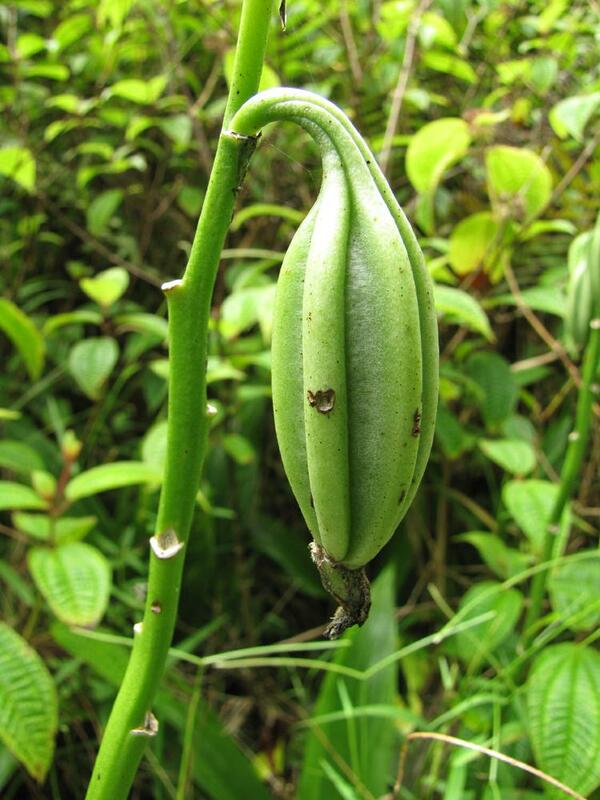 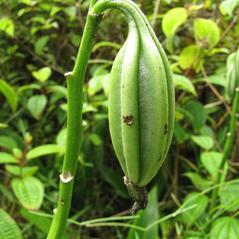 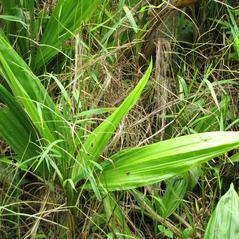 It is also naturalized in many places in the tropics, including Cuba, Puerto Rico, Florida and Hawaii. 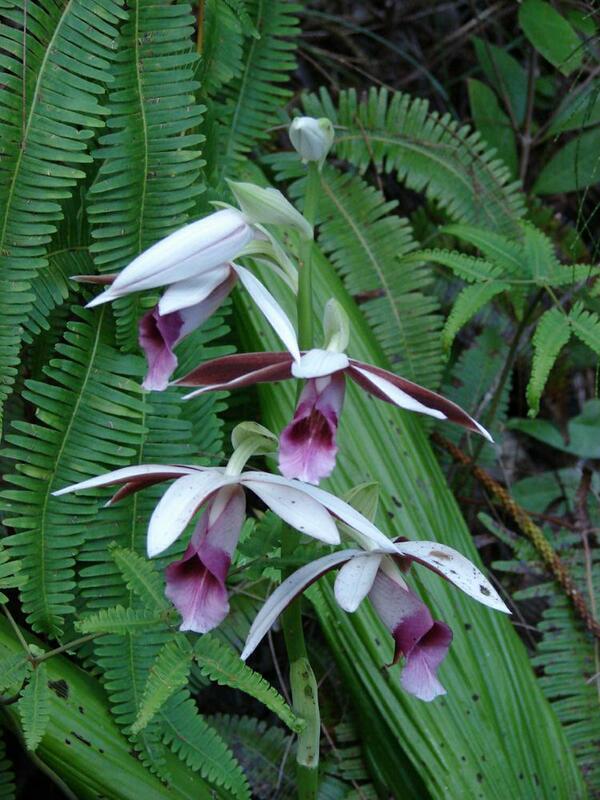 This introduced orchid has 2-8 plicate leaves similar to palm leaves and blooms in March through May. 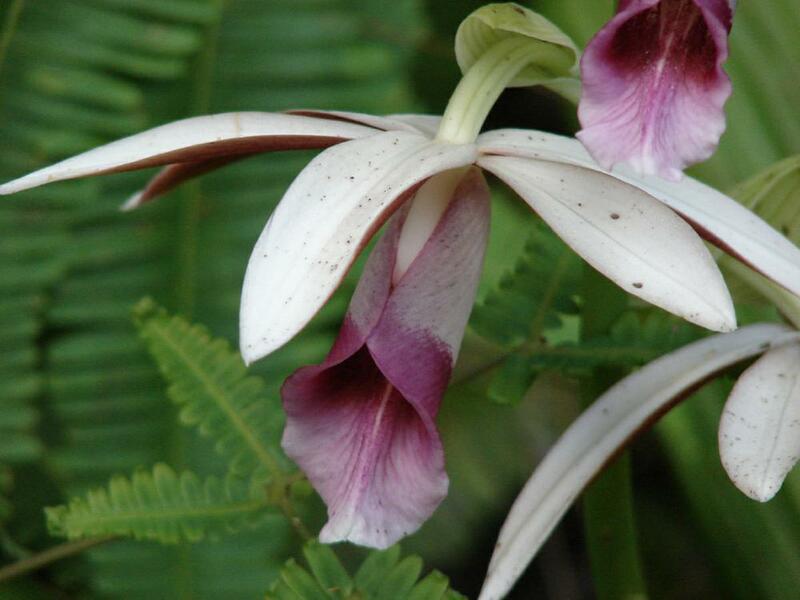 The inflorescence has 10-35 spectacular flowers that are 4-5 cm in size with an exterior color of white and interior of brownish purple. 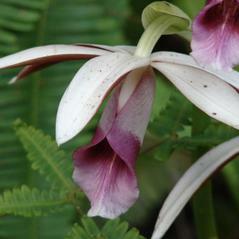 The purple pink lip is suffused with maroon and has a yellow spur. 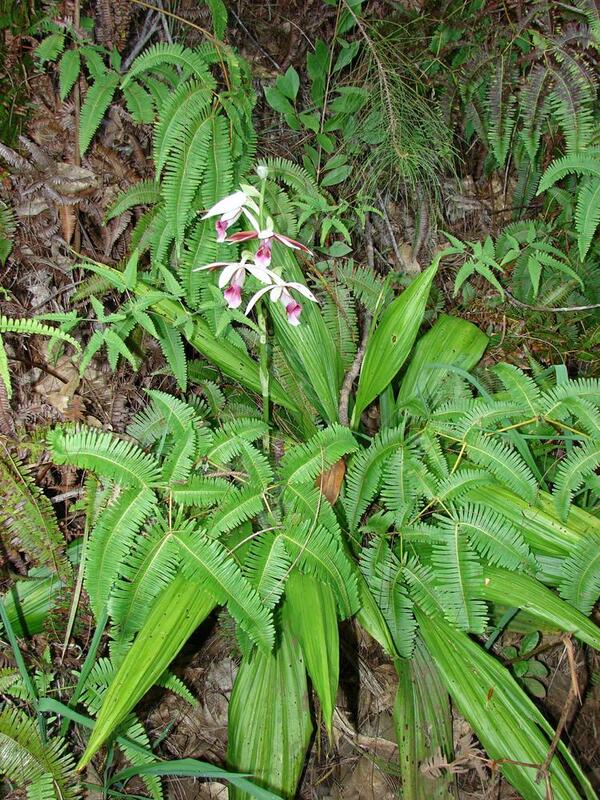 This species is a popular orchid in cultivation and has naturalized in several habitats, including dense swamps, bayheads and hardwood hammocks. 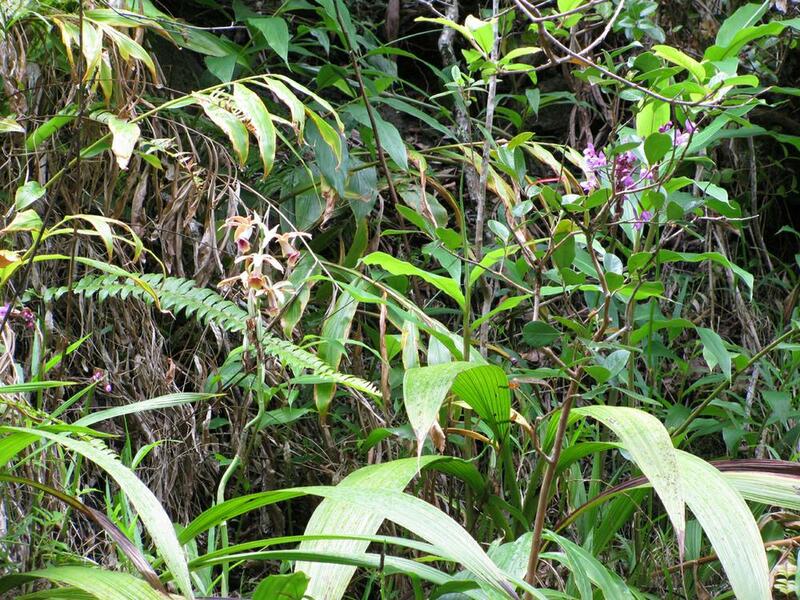 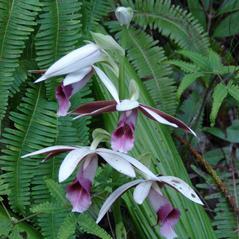 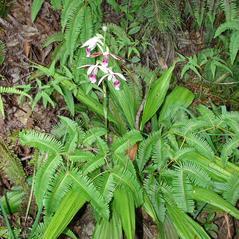 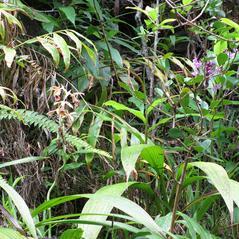 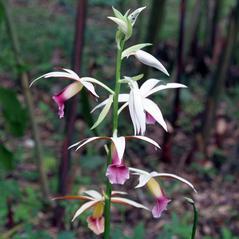 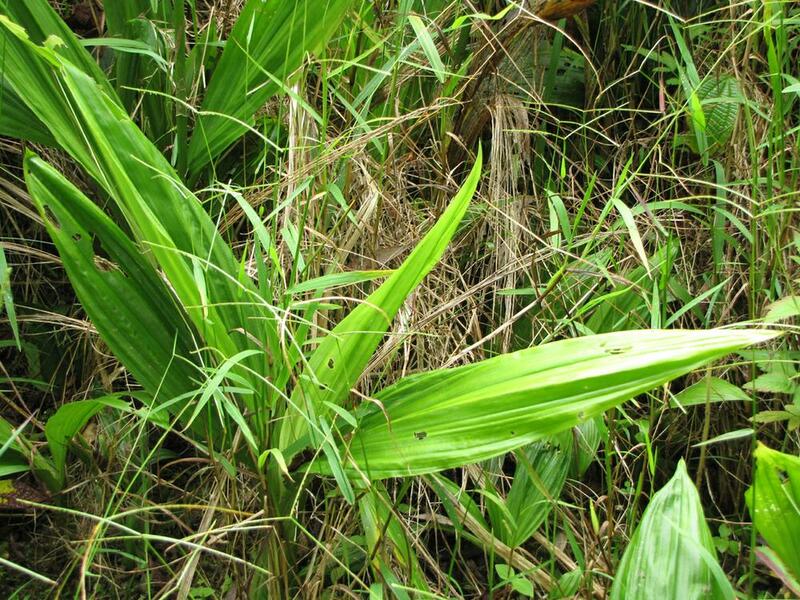 The conservation status of Phaius tankervilleae has not been determined.